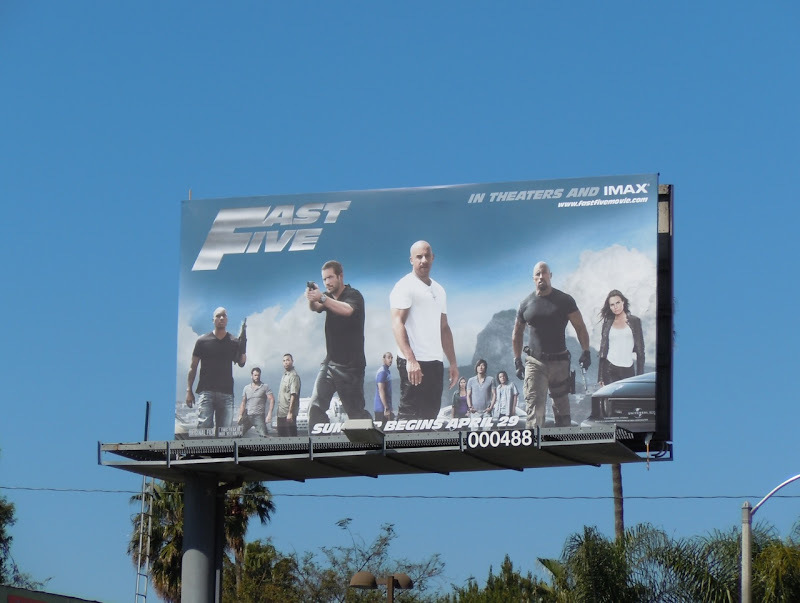 When a movie has as many sequels as this action franchise there's only so many combinations of The Fast and the Furious words you can use, hence the slimmed down Fast Five title for this fifth installment. 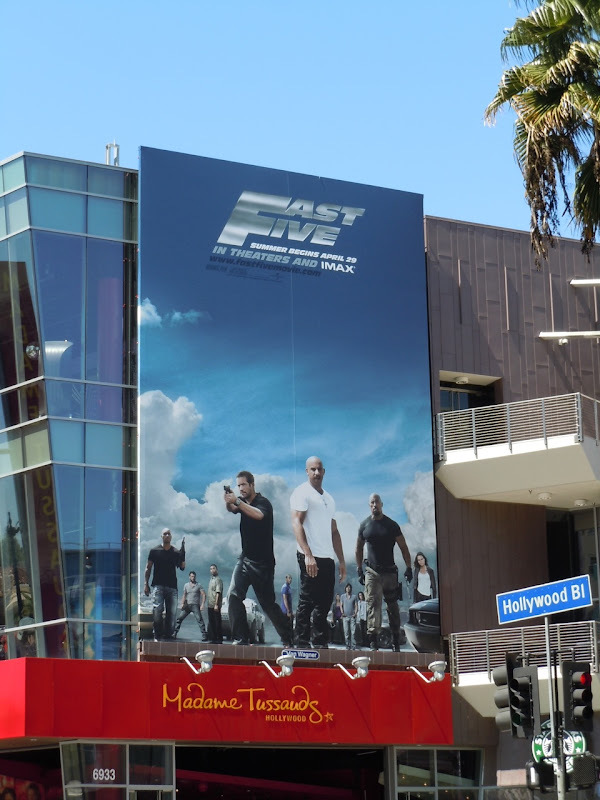 This time there's some extra muscle along for the ride with Dwayne 'The Rock' Johnson pursuing Vin Diesel, Paul Walker and their crew as a determined federal agent. 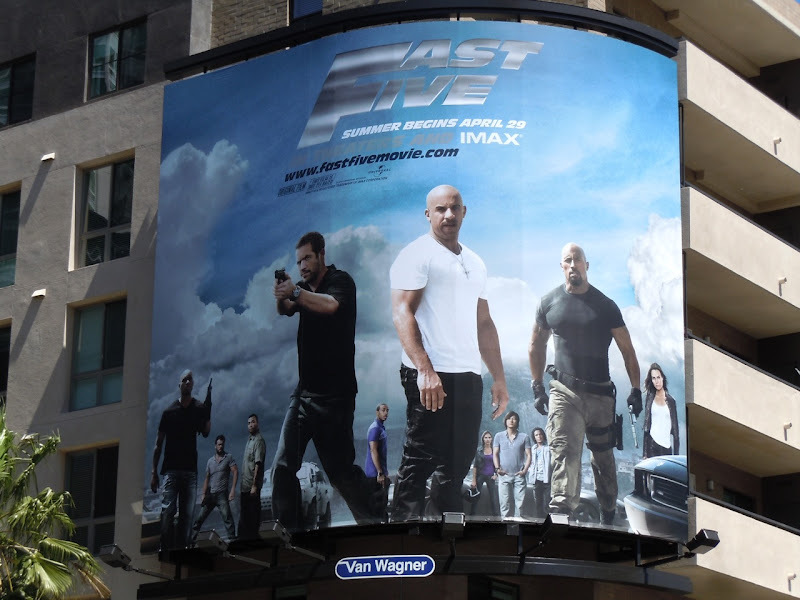 Looks like it's starting to get mighty crowded on that billboard with the stars of all those films though. If you're a fan of the movies, be sure to check out the cars from The Fast and the Furious films on display at Universal Studios Hollywood. 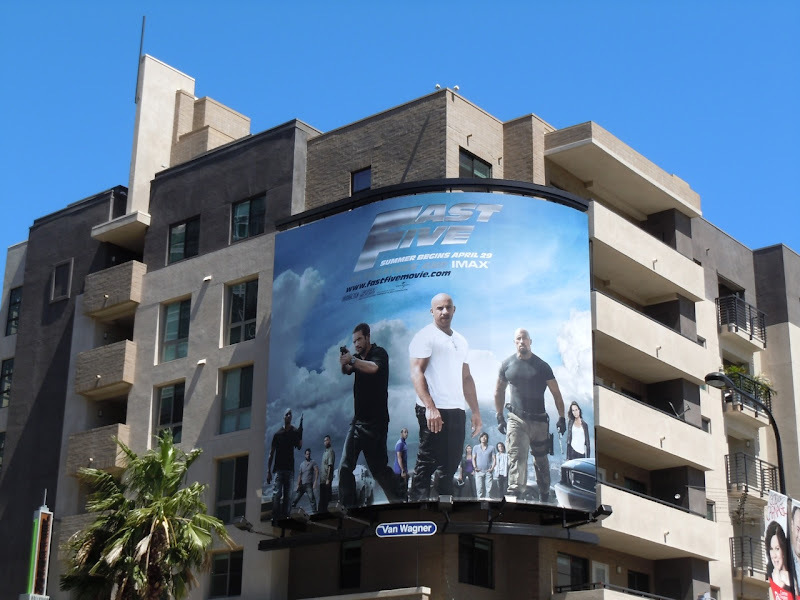 These billboards for the new movie really stand out around L.A. and were snapped on Fountain Avenue at La Brea Avenue and the larger formats along Hollywood Boulevard on April 4, 2011. 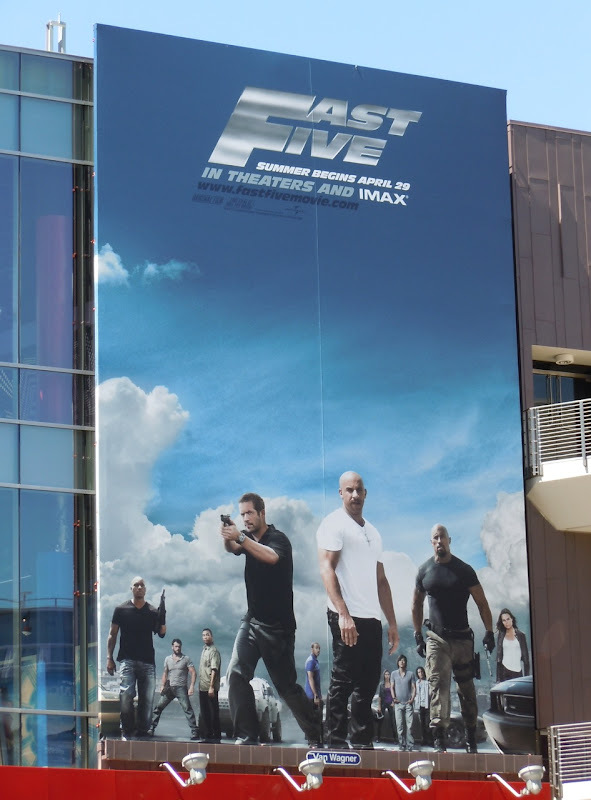 Be sure to also check out the movie cars from Fast Five on display at Universal Studios Hollywood. 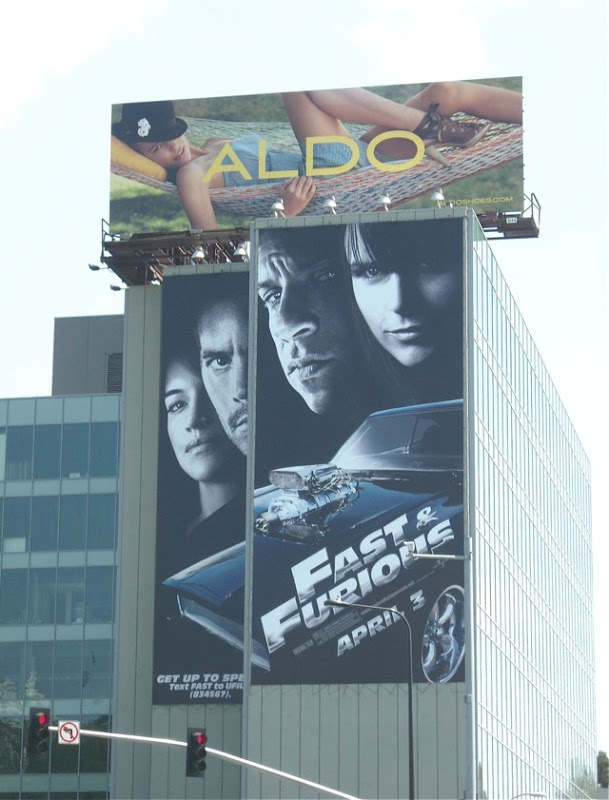 UPDATED: As a bonus here's also a giant-sized billboard for Fast & Furious (the fourth movie installment) snapped along Highland Avenue in Hollywood in March 2009. 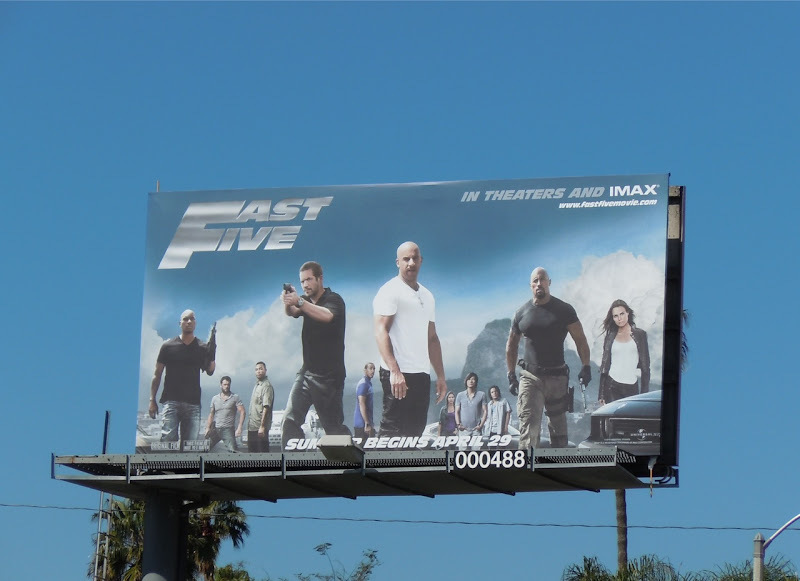 That has to be the worst movie billboard i've ever seen... background that doesn't fit and copy & pasted characters!